I love watching spy movies and spy shows. If only I was smart enough to learn 10 languages and have a genius IQ, I'd be working at the CIA in a heartbeat. But of all the government agencies, the CIA is the most discreet and the most elusive. If you're working a simple desk job there, chances are you'll just have to show an ID badge to get into the building and to your office. But the higher your clearance level, the more elaborate the system. You'll need your special badge, a finger scanner, and a face or retinal scanner. Obviously I've never been inside CIA headquarters, but with five years of watching Alias under my belt, I can make a good educated guess this is what security is like. When it comes to classified government buildings, there is no room for error. This buildings are on a tight lock down. Now FingerTec can't provide you the crazy system of the CIA, but we can give a face recognition system along with other state of the art employee clock in software --which is perfect for any office. Be safe and secure and avoid spies infiltrating your office. “Sometimes wishes do come true”. This line will forever be engraved on my iPad 2 and in my heart as a reminder of the day I got lucky at work. The day that every confirmed staff at FingerTec Worldwide was given an iPad 2 as a reward and motivation for the contribution they have done. 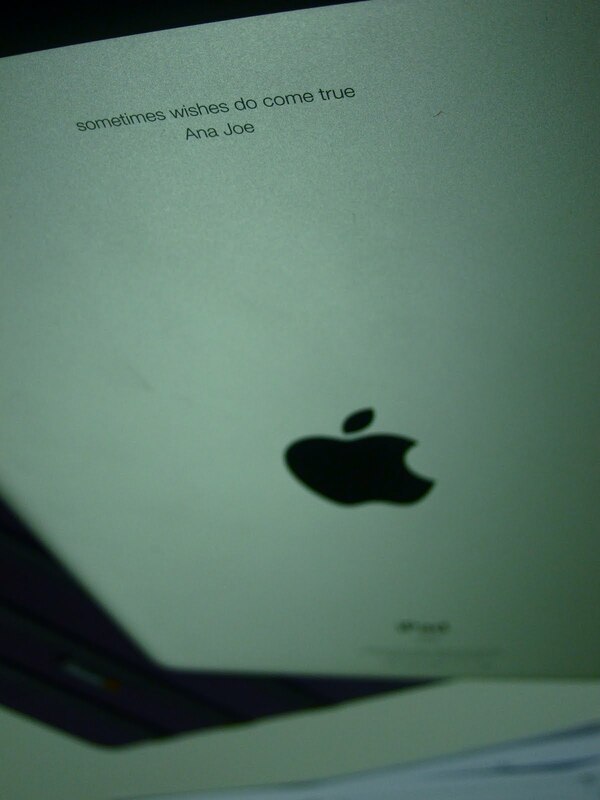 So, to avoid the havoc of iPad 2 frenzy at the shops, I placed my order online, where I could personalize it with my own little engraving. After two weeks of constantly and tirelessly checking the delivery status in the Apple store, my brand new angelic white iPad 2 arrived safely at my doorstep at work. It’s definitely worth the wait. I parted with my first iPad with a couple of tears down my cheeks and embraced the new, much slimmer one. What I love about the iPad is its limitless possibilities. Anything can be anything. At this point in time, I think we haven’t really seen much yet but the things we’ve seen so far wow us. The apps I’m most in love with are the amazing magazine apps i.e. Oprah, TIME, Esquire, Vanity Fair, etc. Absolutely gorgeous e-magazines to keep me informed and entertained all night long. They offer me more than just text and stories. The pictures are breathtakingly HD, incredible videos are embedded in the stories, purchases can be placed instantly, personality quizzes can be completed with a few clicks, and the list goes on. Not only does it save a lot of trees, the price is even heaper than the ones on the mag stand. When we watched the Harry Potter movies a few years back which showed pictures in the newspaper talking and moving, we thought.. wow, that’s magic. Lo and behold, the magic is in our possession with this iPad mag apps now. And to me this is the real magic of technology. For the uninitiated, “Who Moved My Cheese” is one of the motivational book bestsellers, and the moral of the story is simple. If you can’t change, you will lose out on opportunities. 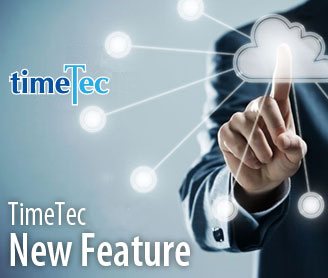 We applaud the effort by Technology Line of Egypt to set up their own FingerTec Facebook account, one small step could lead to one big impact. 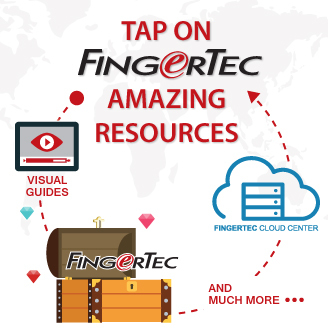 We appreciate the effort of our clients who sent in successful FingerTec implementation stories to show the world how FingerTec system could benefit them. We love the newly revamped website of FingerTec South Africa that features FingerTec so boldly. We are pleasantly surprised to see the number of followers in FingerTec USA twitter. We love the fact that promotions are carried out through social network. The efforts do not cost a lot but the impact would be tremendous if everybody plays their part in making FingerTec a popular brand. Just like Newton who was inspired by a falling apple, iPad sparks ideas, and with those ideas consumers are presented with a huge range of possibilities. To say that I admire Apple for its technology is an understatement. For those who are adamant to stay with the conventional way, are you not inspired by what’s going on around you? Change is definitely inevitable. Give a man a fish, you feed him for a day. Teach a man to fish, you feed him for a lifetime. This ancient Chinese proverb by Lao Tzu became one of the famous teachings applied by companies or marketing gurus as bait to fish followers. People always believe in proverbs that project sensibility and intelligence, hence many use these wise words to lure newbie to sign up for courses; to make them join as member of clubs; to engage them as franchisee; and all of the newbie with a high hope that they would learn the mentioned skills, or some new techniques that “guarantee” them a lifetime of success. But these wise marketing phrases are like half-baked dishes; to chomp and to swallow them all could give you terrible stomachache or worse food poisoning. The business world is volatile, full of uncertainties, and the availability of technologies worsen the situation by accelerating the environmental change. The fishing skill will never be enough to feed you for your whole life; your knowledge would be outdated sooner than you think. 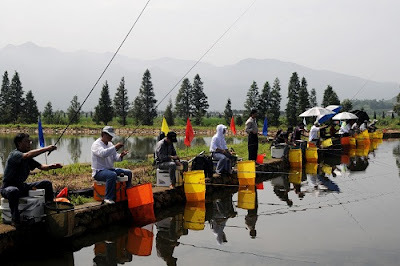 It’s no doubt that you may benefit from the teachings in the beginning, but it is still far from the comfort zone that could bring you financial freedom; and the business ‘pond’ would soon be too crowded when more ‘anglers’ joined in for the same catch. Your chances of catching a good fish would be slimmer, and soon you would be starving again. I’d followed exactly the methods you taught me on how to fish, but …..? A good but, but why does it surprise you? I’m discussing this topic here to provide our resellers with a conceptual advice. Our motto, We Make Things Easy is just like giving fish to our users. We aim to ease our users when dealing with our products, free them from all the troubles. And because they are end-users, it would be much preferred if we could feed them fish even without teaching them how to fish. The lesser the problem they have with FingerTec, the better. We just need them to enjoy the tasty fish. Period. For our resellers however, the motto We Make Things Easy is more than just giving them fish, and it is even more than to teach them how to fish. A lot of resellers prefer FingerTec because we make their life easier in two ways, easy to sell and easy to support our products. But disadvantages always come parallel with advantages, when FingerTec takes care of almost everything, it obscures part of the vivid role played by a reseller. How to distinguish yourself, instead of being overshadowed by a brand? That’s the question of more than “how to fish”. But some of the resellers don’t mind this, they want to be a part of FingerTec, proudly embracing and carrying the brand around. And this is also a question of more than “how to fish”. If you are a solution provider, if FingerTec is a part of your solution, you have to build your own reputation, and with our branding efforts and reliability of the products, FingerTec may enhance your solutions. How to make FingerTec works for you, and how to brand everything in your solutions, that’s no doubt, is more than teaching you how to fish. We hope our more-than-just-a-product’s holistic branding efforts can be of helpful reference to build your own fame. And for the second scenario as a distributor, you have to think on how to add local or regional substances into the brand of FingerTec, more than just to “distribute” as merely a product. If the local or regional substance is your own efforts, like you’re maintaining a local FingerTec Facebook or Newsletter to actively communicate with your customers, or to add local language in the software and hardware that make things even easier in your local market, or to improve your website to be more dynamite or plug-in with some of our functional modules, these are more than just “how to fish”, and you would be surprised of what it might be harvest in the long run. 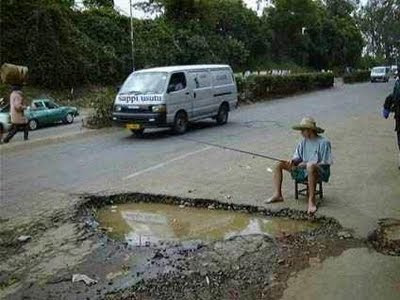 In short, with the impending competition, teach a man how to fish would no longer feed him a lifetime. In fact, by adding more values or renewing your learned skills or knowledge, why bother to fish when you can breed the whole pond of your unique species of fish? April Showers Bring May..Clocking Systems? This past month, we have all been experiencing those famous April showers. But now that we are almost past those weeks filled with rain (though it's still going in some places across the country), we are able to reflect on how weather affects employers and their staff. Most rainy days also create set backs for millions of Americans who are commuting to work in crazy weather. This often corresponds with millions of late arrivals at work locations around the nation. But if you were to take a closer look at the reports issued a month after these events, you may not see that sharp increase in late arrivals. How can something that we all feel is happening, not be on the actual reports? The answer may not be pretty, but it's true. A lot of employees clock in for one another. Call it rainy day comradeship, or simple disobedience, but the fact is that this is happening in almost every company. With technology advancing, we are now able to see many employers battle this trend by using state of the art biometric time clocks. These advanced systems help to make sure that employees clock in for themselves. By using these fingerprint time clocks, employers are taking charge of their money once again. Millions of employees in the US are not aware of the mistakes that are made when calculating their salaries. Think about the last time you actually went through the detailed list of the hours listed on your paycheck. But a monthly review will show at least one mistake from time to time. And those mistakes can often be avoided with better workplace technology. A good way to avoid these mistakes is having the right system in place. a proper employee clock in software that submits the clock in's directly to the payment software. Other solutions are available and can eliminate those mistakes that are made more often than people might hope they do. Another way that technology has evolved is the introduction of the biometric time clock. This form of clock in software allows the employees to quickly sign in and make sure that their info is transferred directly to headquarters. This biometric system also can help make sure that the employees are the ones who are clocking in, and help their clock in routine become much faster and simpler. These types of advances in the workplace are what helps the economy get smarter and better. the more companies utilize the innovations that come out every year, the better the entire system will be. This Labor Day, Hong Kong’s first minimum wage came into effect amid the rising public anger over sky-high rents and a growing income gap in the international financial hub. 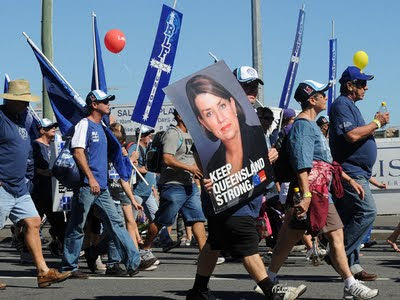 This Labor Day in Australia, between 20,000 to 30,000 workers turned out for Labor Day marches across Queensland celebrating workers' rights. This year in Turkey, Labor Day was celebrated on Sunday with mostly peaceful demonstrations attended by the country’s major labor unions and political parties, a definite contrast if compared to the bloodshed that happened in 1977 during the marching procession in Taksim Square, causing chaos that resulted 34 deaths. This Labor Day, two Kazakh activists were beaten by police and hospitalized after the police forcibly dispersed groups marking Labor Day in Almaty. This Labor Day in Malaysia, a demonstration calling for minimum wage saw 21 people being arrested in Kuala Lumpur. They were later released. This Labor Day, downtown Manhattan was filled with thousands of people from labor and immigrants’ rights groups Sunday, as they manifested to celebrate May Day, an international celebration for workers’ rights annually commemorated on May 1. This Labor Day holiday, I stayed at home reading “The Rise of Creative Class”, a book written by Richard Florida which discusses the emergence of a new social class, where they use creativity as a key factor in their work in business, education, healthcare, law or some other professions. The author said in the preface, “human creativity is the ultimate economic resource. The ability to come up with new ideas and better ways of doing things is ultimately what raises productivity and thus living standards. The great transition from the agricultural to the industrial age was of course based upon natural resources and physical labor power, and ultimately gave rise to giant factory complexes in places like Detroit and Pittsburgh. The transformation now substituted one set of physical inputs (land and human labor) for another (raw materials and physical labor) while the current one is based fundamentally on human intelligence, knowledge and creativity”. The numbers of people doing creative work has increased vastly over the past century and especially over the past two decades. And the norm of this class is, you would hardly see any worker strikes, for example IT industry that housed mostly creative workers. For the same reason, when the creative class or knowledged worker number is climbing, you would see Worker Union shrinking naturally, even without any suppression from the government or employers. I agree on the proposed minimum wage, and support the under privileged class to fight for higher wage from the heightening living burden. And to offset the gradually increased labor costing, employers have to upgrade themselves from a labor-intensive business that is based on price competition to become a creative organization that can improve profitability. And for workers, they have to upgrade themselves too to join the creative class in order to upgrade the quality of lives. That’s the trend, brainpower is always stronger than the labor power, and applies to everyone in all industries. If you are a creative worker, you don’t need minimum wage to protect you, and you don’t need a Worker Union to shelter you; your knowledge and creativity would become your own bargaining power. You have to upgrade your knowledge and creativity at all times, to avoid slowly falling back into the labor category again in any industry. As we are in the tech industry, this year we celebrated the Labor Day by giving away an iPad 2 to all our staff as a token of appreciation. Out of the many computerized systems that have changed the American workplace, one of the least noticeable (and yet one of the more influential) is the advent of the biometric time clocks. Among the many employee clock in softwares, the biometric time clock has unique features. It is the most reliable form of clock in service since it literally demands the hands of the employees to be there, thus helping to eliminate thousands of work hours a day that are clocked in for no reason across the country. In companies small and large, employers are able to see exactly when their employees are checking in via sophisticated systems online. The employer no longer has to be in attendance to verify that the employees are punching in on time. He or she can do it at home. Time clocks have changed drastically and are now incorporated as part of the technology budget of companies. The mere fact that companies set aside financial resources for software like this is proof that these systems are gaining importance in the workplace. 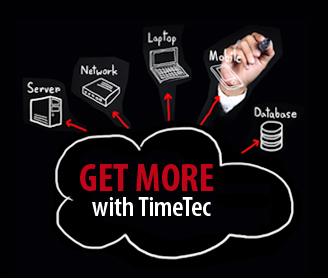 It will definitely be interesting to see the next step in time clock evolution. We will have to guess what could be the next step. Perhaps holograms of the employers welcoming the employees every morning? We'll have to wait and see.